Redden, oblique aerial view, taken from the NE, centred on the cropmarks of a possible four-poster. 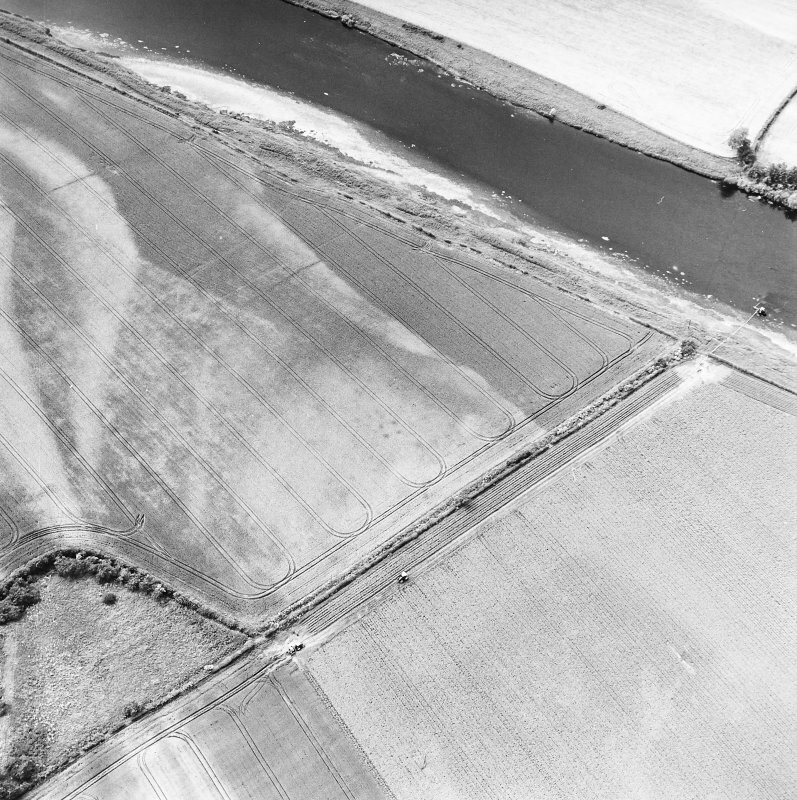 Redden, oblique aerial view, taken from the ENE, centred on the cropmarks of a possible four-poster. 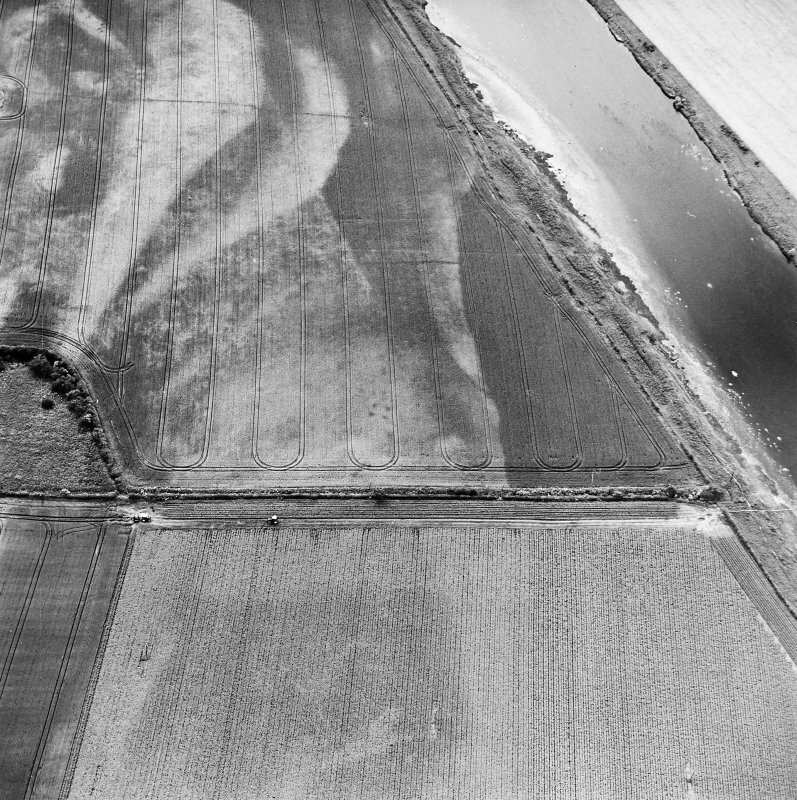 Redden, oblique aerial view, taken from the ESE, centred on the cropmarks of a possible four-poster. 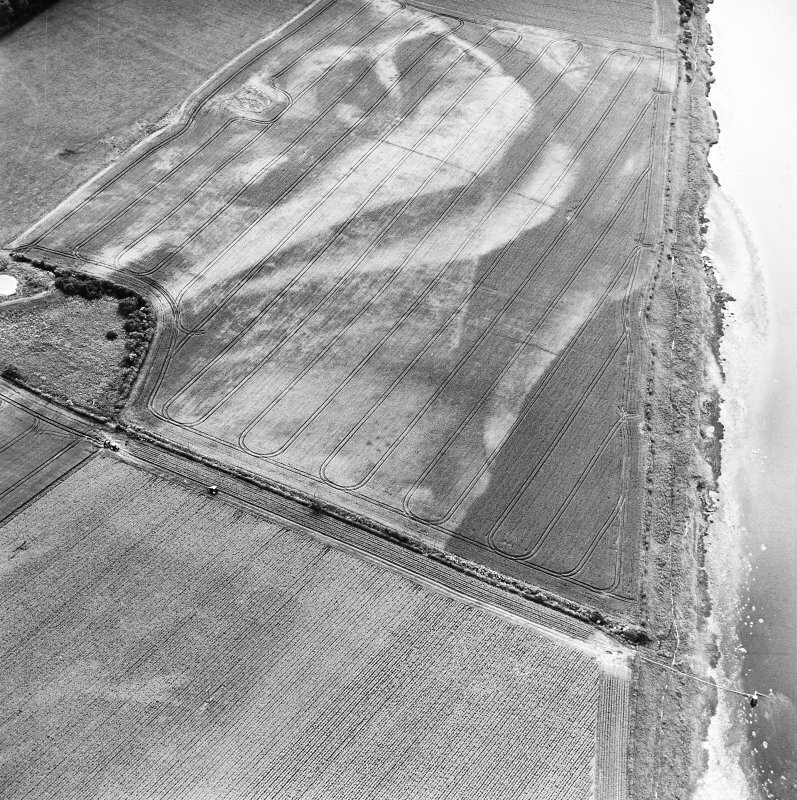 Four pits revealed as cropmarks and recorded on aerial photographs lie at the west end of Redden Haugh to the north of Redden farmsteading. The pits are arranged at each corner of a square, measuring about 6m across, and may have held large timbers or stones forming a variation on a stone or timber circle of Neolithic date known as a four-poster.